The $1,000 Home Gym. Now 90% Off. ﻿Get in the ﻿best shape﻿ of your life. In just ﻿﻿﻿﻿﻿﻿﻿﻿﻿12 minutes﻿﻿﻿﻿﻿﻿﻿﻿﻿ a day! SMARTGYM allows you to strength train and cardio train without using weights or treadmills. Instead, using its unique Power Band resistance system, you can choose variable levels of resistance for a customized total body workout that rivals a health club. . . free weights, treadmills, and all. Most exercise machines are big and heavy – and expensive. SMARTGYM is compact, lightweight, portable, and very affordable. Most of the expense of other machines lies in the large steel frame needed to support the resistance system – usually metal plates. 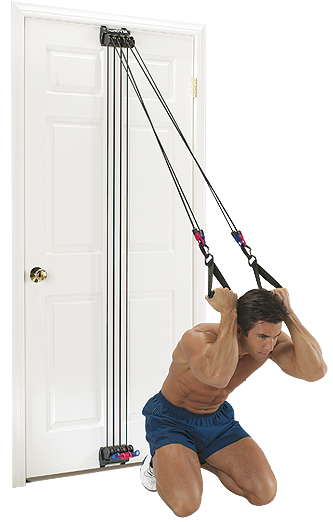 SMARTGYM's unique omni-directional pulley system fitted with four variable-resistance Power Bands is designed to use any conventional door as the frame. So you don't have to carry the frame around with you, which makes SMARTGYM extremely lightweight (just 3.5 pounds) and easily portable. SMARTGYM's Dynamic Variable Resistance begins at zero and smoothly increases as the Power Bands are stretched, giving resistance in both positive and negative directions. Once the exercise is complete, the Power Bands are no longer stretched, so the pressure on ligaments, joints, and spine is reduced to zero. And since there is no "weight" to hold in position, SMARTGYM allows you to do exercises that are impossible to do with free weights. 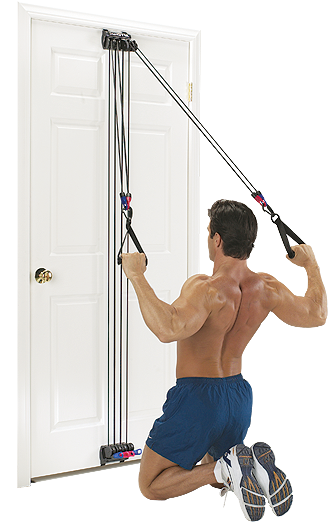 SMARTGYM's high and low pulley positions let you push and pull the Power Bands in any conceivable manner or direction, facilitating over 70 muscle building, cardiovascular exercises. Plus, SMARTGYM is effective for Pilates training, cardio dancing, rehab, and physical therapy. It's so easy to use! Just change your body position and you're working a different muscle instantly. No setting up or changing the machine. This revolutionary design allows you to flow from exercise to exercise without stopping, so your workout is extremely quick. And since your heart rate can remain elevated within your target aerobic range, each workout is also extremely effective for fat loss. SMARTGYM sets up in just seconds. It is secured to a door using two narrow "cinching straps" made from very thin, very light, but extremely strong, polypro webbing. The cinching straps slide over the top and underneath the door and meet behind the door where they are pre-threaded through a D-ring. Simply pulling downward on the cinching straps levers the pulleys apart to rest at the top and bottom of the door, with the Power Bands stretched between them. Velcro is used to hold the straps in place once they've been "cinched" tight at the back of the door. Once setup is complete, SMARTGYM behaves as if it's been screwed directly to the door. But what's really happening is that it's Vector Balanced. And that's why it can remain flat against the door as you pull and push on the Power Bands. And no matter how tightly your door is fitted to its frame, the cinching straps will still fit between door and frame for easy, no hassle setup. No screws or fasteners needed! You can also choose to wall-mount SMARTGYM more permanently on a wall or any vertical surface (screws required). Changing Resistance is a Snap! Simply snap the handles, ankle straps, or cardio belt onto one or more Power Bands in different combinations. Eight levels of resistance (combinations) are possible. The red Power Band (think "red hot") is more powerful than the blue Power Band ("cool blue"). However, two blue Power Bands together are stronger than one red Power Band. NOTE: The Power Bands work on the principle of Dynamic Variable Resistance – the further they are stretched, the higher the resistance. This makes fine tuning the overall resistance extremely quick and easy. 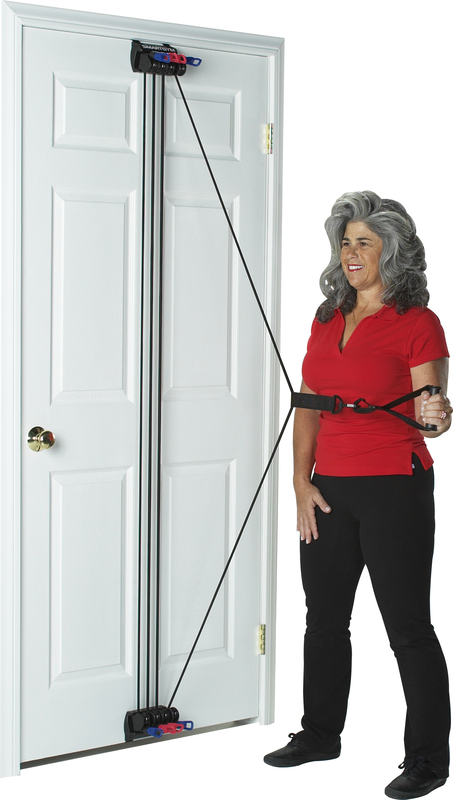 Simply step further away from the door to increase resistance or move closer to the door to decrease resistance in increments smaller than one Power Band. from fitness professionals, Chiropractors, Physical Therapists, and real people like you. I've lost 140 pounds and over 100 inches using SMARTGYM. I'm done with that journey! The next task for my SMARTGYM is to help me further shape up to run a half marathon later this year, and, of course, to maintain fitness for life. People have a hard time believing that this little piece of exercise equipment – not some expensive, energy-consuming gym experience or personal trainer – met my needs. I guess it all boils down to what you need to believe. Simple, elegant, powerful. . . I couldn't be more pleased. Thank you for making such a wonderful product! Using the SMARTGYM is absolutely mind blowing. I am a fitness instructor and personal trainer. I've been using free weights for years in my home gym. Well, that's about to change. I bought two SMARTGYMs about two months ago which I have placed side by side on a door for extra resistance. The results have been dramatic. My muscle tone has improved and I have reduced my weight by 5 kilograms (11 pounds). I hardly use my free weight equipment any more (I have a fully equipped home training gym, including 200 kilograms of weights, a good weight lifting bench, and some pulley equipment). I am considering selling the whole lot. The pure convenience of being able to exercise at various intensities and resistance levels in a relatively small space and exercise every muscle group and individual muscles so efficiently using the SMARTGYM is absolutely mind blowing. This is absolutely the best unit of fitness equipment I have ever seen, and I'm over 50 years old, so I have seen a few. I'm a Chiropractor, and I include SMARTGYM in my standard rehab protocol. I bought a SMARTGYM several years ago and set it up in our clinic for use by the patients. I loved it then and have bought three more since that time. But I eventually gave all of them to my patients. When it came time for me to leave to set up practice elsewhere, they wouldn't even let me take the last SMARTGYM with me! So here I am purchasing another SMARTGYM online for home use for me and my family. Recently, I opened a new clinic here in Buford GA, about 40 miles north of Atlanta, called the Hamilton Mill Spine Center. We specialize in postural correction, and I include SMARTGYM in my standard protocol. I also encourage my patients to purchase a SMARTGYM for home use in order to maintain the gains they make here during their time of formal rehabilitation. I hurt my back very badly many years ago and I could barely walk. Before I got hurt I was in great shape. When I was growing up I always used free weights, and I was a runner. I went from being in great shape, at 6 feet 1 inch and 215 pounds of muscle, to a fat load weighing as much as 345 pounds. The steroid injections they were pumping into my back were blowing me up like a balloon, and it gave me diabetes, too. Well, twelve years later I fought my way back to 240 pounds, but I still had flabby parts to my body. I finally opened the SMARTGYM to see what it was all about. I was amazed how quickly my muscles were reacting to it. The SMARTGYM hits the muscles much better for a better pump and I'm gaining size again. And it's developing the whole muscle much better than free weights ever did. It's a great stress reliever and it's the only kind of equipment I'll ever use. I used to be a college athlete. But with two kids, a wife, the job... I had gained weight. I just couldn't seem to get to a gym to work out the amount of time I needed. But I've been using SMARTGYM for over a year and I just love it! Now, others are noticing that I am getting back to where I used to be – cut and in shape. I am a major advocate for SMARTGYM and will continue to let others know about it. I can wear all my 'skinny' clothes, and I don't have to lie down to zip them up! I have 'fat' clothes and 'skinny' clothes – I think everybody does. Well, now after losing over 10 inches in just 30 days, I can wear all my 'skinny' clothes, and I don't have to lie down to zip them up! Because it's fun, because it's so easy and I enjoy it so much, SMARTGYM is definitely something I can do for the rest of my life. With One Machine That Does it All. If you aren't 100% satisfied with your SMARTGYM, send it back within 30 days and you'll receive a full refund of the purchase price (less s&h). No questions asked! Need More Reasons to Try SMARTGYM? Just about anything you can think of. And all without stopping! I can go right from a chest press to an incline press, to curls, to triceps, to biceps, to back. You can do neck exercises, abdominals, stretching, all of your cardiovascular. Just about anything you can think of. And all without stopping! That's what I love about SMARTGYM – its creativity. I just wanted to let you know how impressed I am with SMARTGYM. It is completely portable, it is easy to move and set up. I believe you have found not only a great way to resistance train using a minimal amount of space, but solved the problem of the traveling fitness enthusiast who needs to stay consistent with their program. Great design, I am really impressed. In 30 days to lose 15 inches, I'm thrilled. I'm going to keep on doing it, you can't stop me! I've noticed a remarkable change in 30 days, losing 19 inches off my body. And my energy level is a lot higher. Few things are as important to your health and fitness success as quick results. With this in mind, SMARTGYM was created to allow you to flow from exercise to exercise and work each and every muscle without stopping. Being able to combine strength training with enhanced cardio benefits drives your body to cleanse itself of unwanted fat deposits while shaping your muscles into the toned, athletic look you've always wanted – all at the same time! 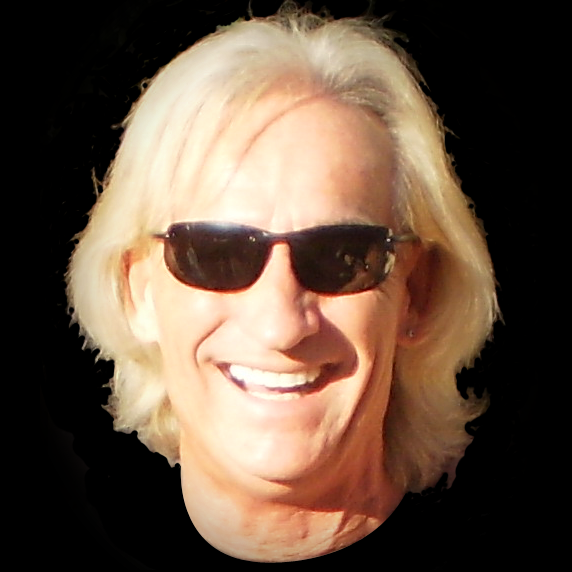 In just 6–12 minutes a day at a cost of just pennies a day. SMARTGYM is designed to be totally responsive to you. 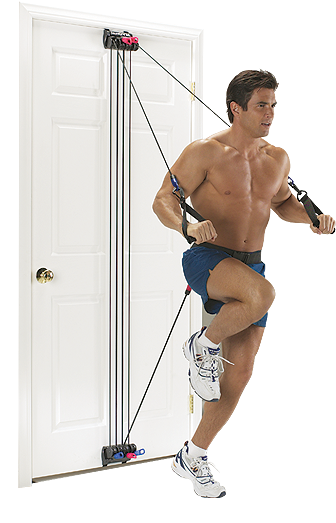 Its omni-directional pulley system follows your movements. Just change your body position and instantly you're working a different muscle group automatically. And with 8 levels of Dynamic Variable Resistance readily available, it's a snap to tailor your workouts to your specific needs. Just snap the handles, ankle straps, or cardio belt onto one or more power bands and you're ready to go. SMARTGYM has been carefully crafted to be portable, convenient, and easy to use – to make working out fun and effective instead of arduous and boring – with over 70 strength and cardio exercises to choose from. Just leave it set up on any standard door (or mounted on a wall); it takes up virtually zero space, and is always available for a quick workout to invigorate, strengthen, and stretch your body. No driving to a gym. No competing for machines. No need to dress up. It's a hassle-free experience you'll love!